Beautiful home on an elevated lot with views! Enjoy the scenic patio and front yard of this move-in ready home in Santee. 3 Bedrooms, 1 baths, and plenty of room to relax, entertain, and enjoy the covered back patio and fenced yard. The home has been updated with laminate flooring throughout, designer paint colors, modern light fixtures and window treatments, and smooth textured ceilings and walls. The updated Kitchen includes ample cabinet space, gas range, oven, refrigerator, and ceiling fans throughout! The bathroom has a tub in shower, vanity, and tile floors. 2 Car Garage with laundry hook-ups and plenty of storage. 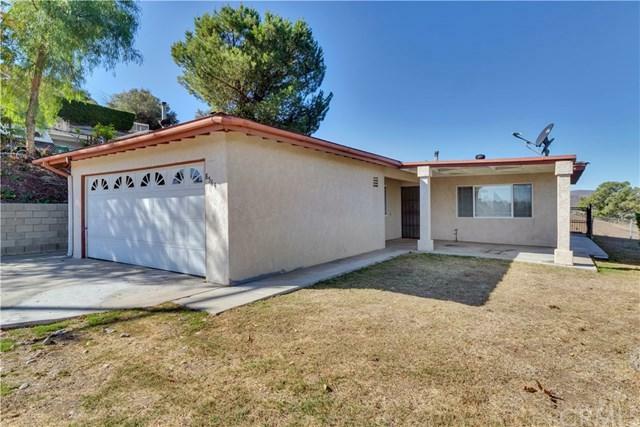 Don't miss your opportunity to live in Santee, take a tour of this home today! Sold by Lindsay Marsolais of Windermere Homes & Estates.